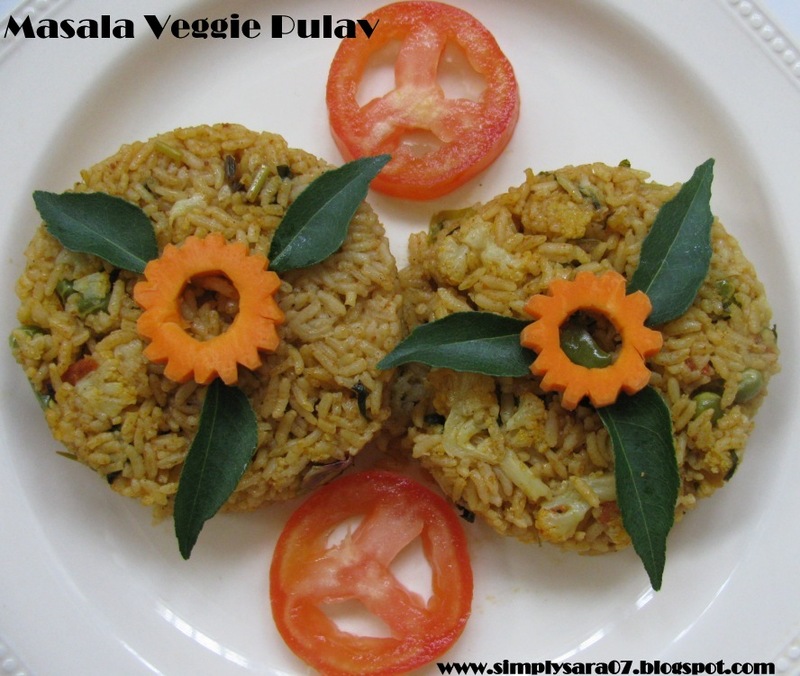 Masala Veggie Pulav is very different from other Pulav since we ground special masala. This recipe is from my Mother in Law. For Deco have used Carrot, Tomato and Curry leaves. In a pan dry roast the masala ingredients. Allow it to cool and grind it to fine powder. Wash and chop all the veggie into small pieces. In a Kadai, heat oil, add onion, garlic and fry till light brown. Then add tomatoes and cook till soft. Now add all the veggie and saute. Add salt and turmeric. Add the grounded masala powder. Mix well. Add rice and mix. Add about 5 cups of water, salt and a tspn of ghee. Mix well. Serve when steam is up with Raitha. 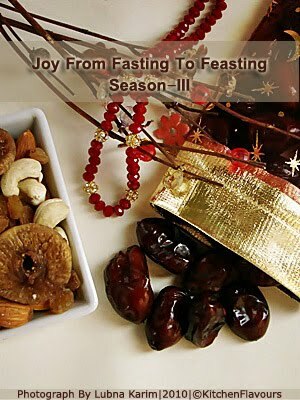 This Recipe is off to the following events. How did you make the flower-carrots? lovely sara..truly a visual treat....love the carrot flowers and green leafs...creative sara..thanks for sending it to my event Color Your Palate-A Visual Treat.. 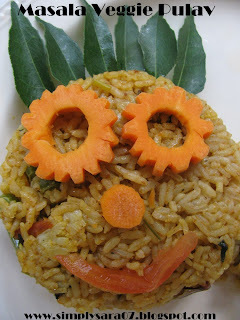 Superb veggie pulav. Loved the flavour as well as the presentation,bookmarked. So different from the regular pulav. Thanks for sharing. 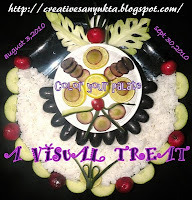 Nice recipe with superb presentation dear...keep rocking..
Lovely carving of vegetables, thank you for sending this lovely recipe to my event. 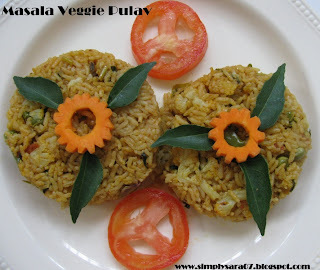 nice presentation and yummy pulav saras....perfect for the event. Thank you Mr. Gopi for visiting my blog. Lovely presentation Sara. Kids friendly too.